Amongst the hodgepodges of clichés we’re told growing up on holds true for our P3 Jewel; “If you can do what you love for a living; it will never feel like working.” Julie Prim, a native of Dallas, TX, spent the first part of her collegiate career working on a degree in Government and Politics. She had the intent to become a politician, but had a change of heart and began to look for a new college and major. Her search landed her in North Carolina at NC State, “I packed up my stuff, put my dog in the car, and came to North Carolina.” Her genuine interest in helping others and her natural ability to be an objective listener prompted her shift from politics to psychology. 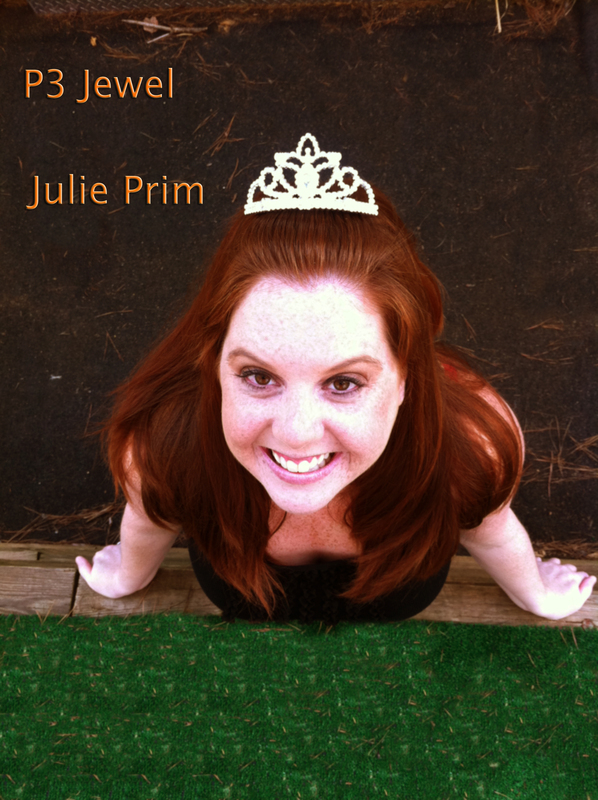 While pursuing her degree in psychology, Julie decided to start her own business. After a friend’s toddler recanted her Disney World trip and the joy of having breakfast with the Disney Princess she came up with the idea of, “A Fairy Tale Experience;” a princess party for girls of all ages. “I didn’t have birthday parties growing up,” Julie tells me, “I believe every child should experience something special.” Without wasting anytime she put together her website, placed ads to find princesses, and ordered everything needed to create memorable birthday party experiences. “It was a small risk, but I felt that it was worth it.” May 2010 she launched, A Fairy Tale Experience, and it’s been a big hit since then! Clients get to choose a princess for their child’s party and enjoy up to 2 hours of fun and games! “Of course I had to find the balance between living in the moment; doing what I’m passionate about and doing what I have to do. So I work a part-time job in commercial real-estate, attend school, and run my company.” Julie is a busy woman, but when you’re able to do what you love, it’s easier to achieve that balance. As I talked with Julie I could sense how eager she is to help others and bring happiness into the lives of other people. Balancing her job, school, and business has been a task, “Until parties are done I can’t relax!” Between all of Julie’s princesses there can be up to nine parties booked for one day. At start she was only servicing the Raleigh-Durham area, but now has expanded to Roxboro, Ft. Bragg, and Burlington. Julie is just beginning her journey to building a company that brings the dreams of children and sometimes adults to life! As young women it is important to begin the search now for what we are passionate about and finding a way to incorporate that into our lives and if possible our careers. Even if what we are passionate about doesn’t fit the status quo of what we’ve been taught to believe, we must take the risk and stand in our authentic truth.